The clients of this property wanted to create a more stylish and modern look to their garden with very little maintenance required. We started by replacing the fencing both sides using 6’x6′ closeboard panels with concrete posts and gravel boards, we also installed a new ledge and brace gate. We then started clearing the garden of all Grass, concrete, foliage and debris, once we had a clean canvas we installed a small decking area at the entrance to the garden. We then added drainage and raised up the manhole, then added our membrane and subbase foundation, this was then levelled and compacted to the relevant depths. 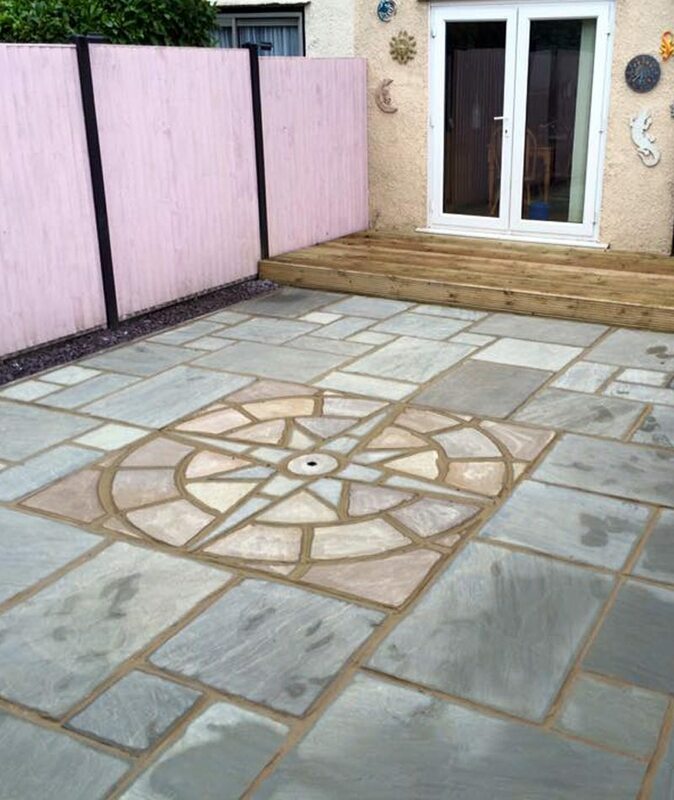 At this stage we could start laying the paving, for this project the clients opted for a Indian Sandstone with a nautical star squaring off kit set within the center. Once all the paving had been laid, the following day we was able to complete the jointing process using all weather jointing compound. This Project was completed in 7 days start to finish, the clients were very pleased with the results. Nice video, good work. Thank You for sharing this information. Keep it up , amazing.